Vocal fry voices are being heard more and more from young tv and movie stars like Kim Kardashian and Zooey Deschanel to average teens and college students. I hear this problem often in clients who have just finished journalism schools and bring the sound into their first on-air jobs. Let me explain. The problem is a learned pattern of speech called vocal or glottal fry. How does it get its name? The glottis is the opening between the vocal folds, which is where this sound originates. 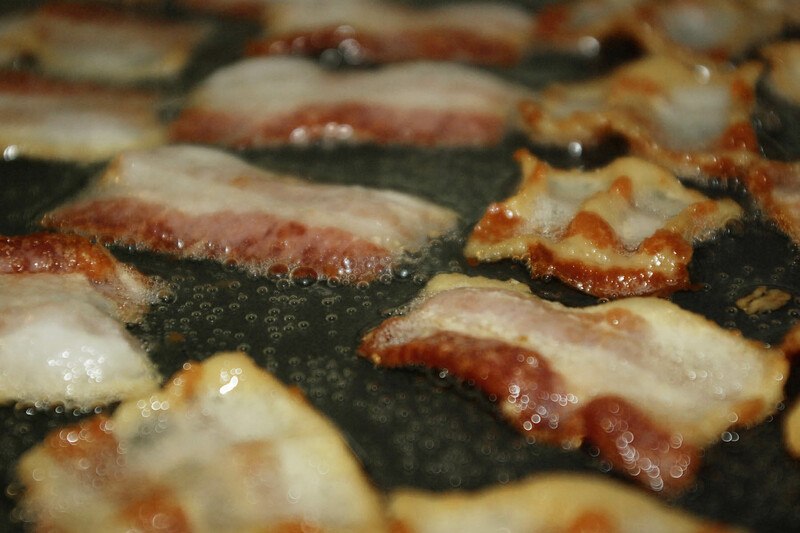 This condition may be called “fry” because it sounds like bacon frying with its popping sound. In the past, it might have been called a raspy or gravely voice. It’s caused by a syncopated mode or double-vibration of the vocal folds. The popping sound of a glottal fry is usually heard toward the ends of sentences. At the end of sentences it usually indicates that breath supply is low, and the pitch is near the bottom of the pitch range. Some speakers have glottal fry elements throughout their speech. Normally, however, a glottal fry will begin a few words before the end of a sentence. The pervasiveness of glottal fry with young women may be an adapted style that helps them fit in and connects them to stars that are using this style of speech. The characteristics most associated with glottal fry speech are tiredness, disinterest, and boredom. Can you relate those to teens??? Increased air supply and a slight rise in pitch will usually eliminate a glottal fry as long as it’s a functional problem and not caused from a pathological issue such a contact ulcer on the vocal folds or a thyroid problem. To correct a glottal fry I have clients work on breath support in ways that I explain on this video. I also encourage them to make the last word of a sentence as strong as the first word like I talk about in this post. Below are some more sources of information on vocal fry as well as a link to two workshops coming up in the next few weeks in the Washington, D.C., area offered by one of my Associates, Cathy Runnels. UPSPEAK & VOCAL FRY: INTRODUCTORY WORKSHOPS ON CHANGE. Bethesda, MD, Thursday, April 28, 2016, from 11:30 AM to 1:00 p.m. (EDT) Friendship Heights, MD, on Saturday, April 30, 2016 from 11:30 AM to 1:00 p.m. Click here for more information: EVENTBRITE.COM and check out April Events. Read Melissa Dahl’s article that explains a study done in 2011 that focused on vocal fry voices. Next post: Please Don’t Fade Away!